I was cleaning out some stuff and found a pipe and pipe tool in one of my boxes of random stuff. Spent a little time cleaning it up tonight and and I'm going to give pipes a try again. I got this a while back and smoked a few bowls but never really got into it much. Planning to stop by the B&M this weekend to pick up some pipe tobacco. 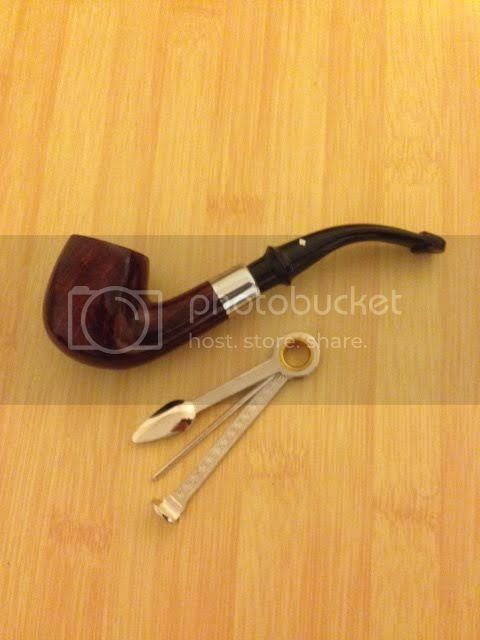 The pipe is a Dr. Grabow Omega. Nothing fancy but I remember it smoking good the last time I tried it. Looking forward to enjoying a bowl of this after dinner tonight. I just bought a tin of this as well. Haven't had the time to smoke any of it yet. Let us know how you like it. I've heard good things. Welcome back to pipes. Good choice for tobacco. Hope you like Latakia. was not able to smoke the pipe on Sunday due to some crazy wind, but I did get to try some last night after dinner. I really enjoyed it! 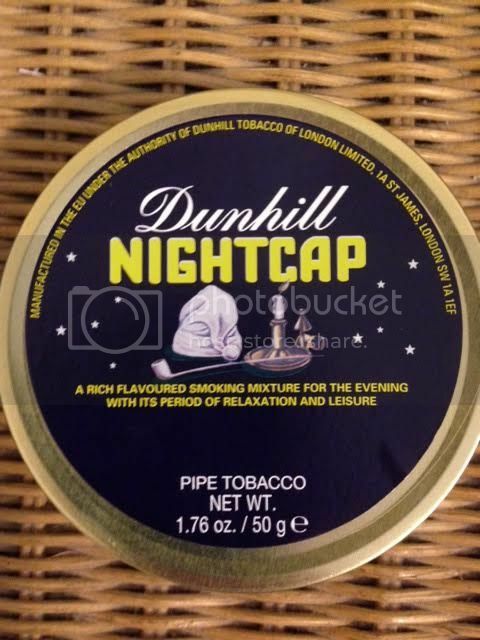 My pipe tobacco experience is very limited but I can say that the Dunhill Nightcap is the most complex, and my favorite pipe tobacco I have tried yet. I look forward to smoking more of this.